“Britain’s Got Talent” Judge Bursts Into Tears During Sweet Children’s Choir Audition. Security Guard Grabs The Mic, Steals Spotlight From Michael Bublé At His Own Concert. Judges Can’t Believe 18-Yr-Old Isn’t Lip-Syncing When She Belts Out Opera Song. Tired Mom Has Judges Rolling With Hilariously Honest Song About Motherhood. Fan’s Incredible Cover Has Jessie J Leaping Onstage For Impromptu Duet. 3 Contractors Start Singing “How Great Thou Art” & Their Harmonies Have Everyone In Awe. 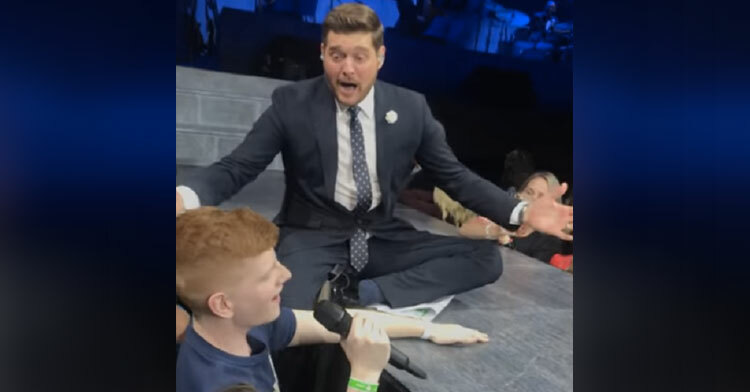 Michael Bublé Hands Mic To Random Fan, Gets Shocked By Incredible Sinatra Cover. Viral Gymnast Is Back With Another Perfect 10 In Brand New Tina Turner Routine. Simon Rolls Eyes At 12-Yr-Old But She Blows Everyone Away With Whitney Houston Song. 3 Judges Spin Around Just Seconds Into Singer’s “Fields Of Gold” Audition. Contestant’s Unique “Wicked Games” Audition Leaves Katy Perry Awestruck. Firefighter Dad Bursts Into “Ave Maria” At Hotel & His Daughter’s Reaction Is Priceless. 91-Yr-Old Pianist In Train Station Joined By Unlikely Singing Partner In Moving Duet. “Idol” Contestant’s Boyfriend Schemes In Secret With Producers For Epic Surprise Proposal. Captivating Duo Have Audience Going Wild Just Seconds Into Mind-Blowing Dance Routine. The Story Behind This Female Flight Crew Is Going Viral For Sweetest Reason. Luke Bryan Awestruck By Singer’s Sultry Norah Jones Cover Stops Her To Pull Chair Close. Trio’s Emotionally Charged Dance To Lauren Daigle Has Crowd Awestruck. 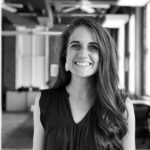 Pro Dancer Goes To Uganda To Teach Orphans, But They School Her In Cutest Dance-Off. 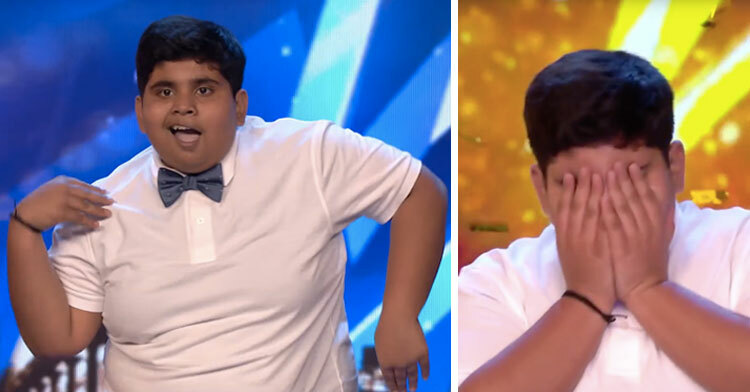 Child Prodigy Wins “World’s Best” With Mind-Blowing Final Performance. 8-Yr-Old With 1 Arm Has Little League Crowd Cheering After Incredible Grand Slam. No One Would Sing National Anthem Until Wrestler Steps Forward & Blows Everyone Away.